The Acoustical Foundations of Music - Description | W. W. Norton & Company Ltd. Although the science of acoustics is fundamental to the art of music, relatively few musicians understand the scientific properties of musical sound. 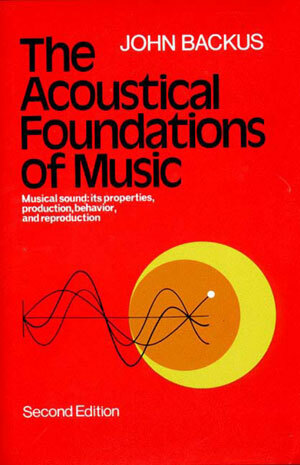 The original purpose of Professor Backus's book was to collect and organize the scattered results of research, past and present, in the areas of scientific knowledge that are relevant to music: the physiological properties of sounds; the effect of acoustical environment; the acoustical behavior of musical instruments; and the various applications of electronics and computers to the production, reproduction, and composition of music. The aims and organization of the second edition remain the same; the results are more complete and up-to-date.